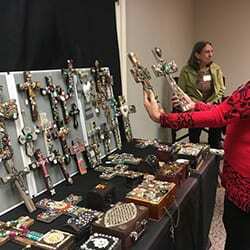 The Dunwoody UMC Annual Holiday Festival is a one-day indoor event in November that features a juried show of beautiful handmade arts and crafts items by more than 125 talented artisans. 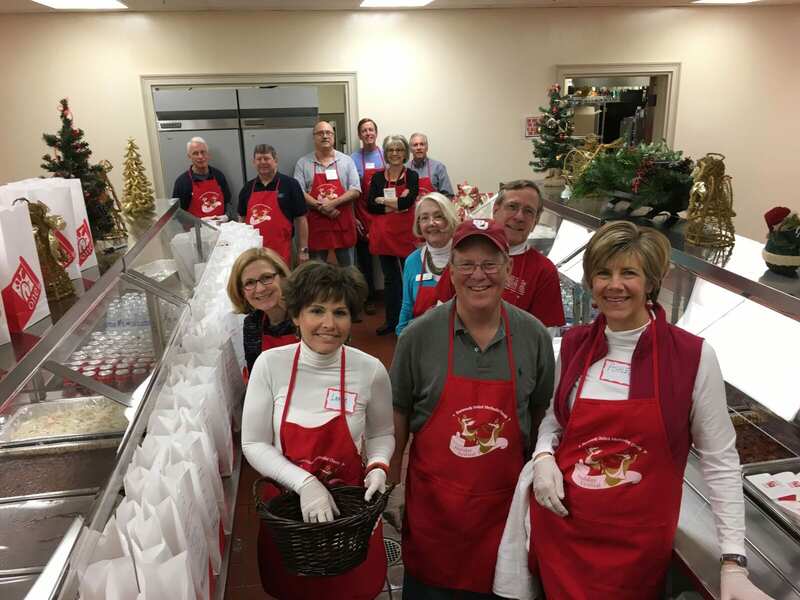 It also has a wide variety of other venues, including an online Silent Auction, Attic Treasures, Book Nook, Casseroles to Go, Breakfast, Luncheon, Children's Activities, Gourmet Shop, Photos with Santa and more. More than 500 volunteers help make this annual event a big success, providing hands and feet for everything from set up to parking to concessions and more. 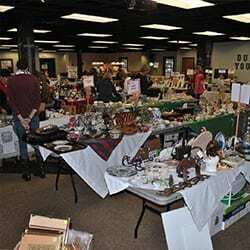 All proceeds from the 3,500+ shoppers benefit DUMC’s Habitat for Humanity project. The Holiday Festival celebrated its 27th year in 2018 and funded the build of our 29th Habitat home. For timely updates, visit our Facebook page. Click here for parking and directions. 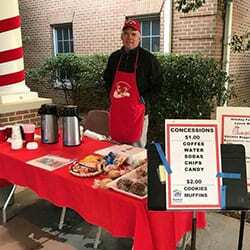 The Dunwoody United Methodist Church proudly presents its 28th Annual Holiday festival. The festival is a one day indoor event that will not only feature a juried show of beautiful arts and crafts items by 125 talented artisans, but also a wide variety of other venues. 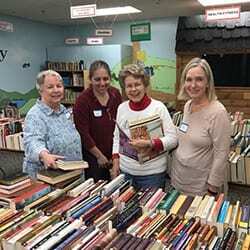 We offer a huge Silent Auction online, Attic Treasures, Book Nook, Casseroles to Go, Breakfast, Luncheon, Children’s Activities, Gourmet Shop, Photos with Santa, and more. More than 500 volunteers participate to help make each annual event a big success. The Dunwoody Community strongly supports our Holiday Festival and feels it is a wonderful way to begin the holiday shopping. Traditionally, more than 3,500 shoppers attend this event. All proceeds will benefit our Habitat for Humanity Project. Our 2018 festival raised enough funds for members of our church to build our 29th Habitat home. As a result of the successful 2018 festival, we will make dreams come true for another family. We welcome applications from Artists and Crafters and hope many of you will consider joining us in this worthwhile project. If interested, please read the requirements for participation outlined in the 2019 Artisans Rules and Procedures Form and submit a 2019 Artisan Application Form. Questions may be sent to dumcartisans@gmail.com. Our 125 talented 2018 participating artists have been carefully selected from a long list of applicants. 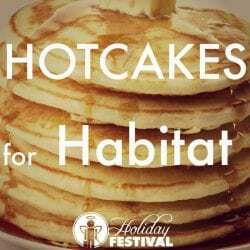 With our growing reputation as one of the best indoor holiday festivals in the area, we are fortunate enough to attract vendors from all over Georgia and even as far away as Tennessee, North and South Carolina, Mississippi, Alabama, and Florida. There is so much to see this year. Booths are located in the Fellowship Hall, Wesley Room, and the Gym. This is a great opportunity to shop for “one of a kind” handmade items. Concessions will be served all day! 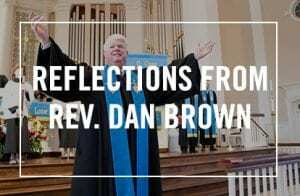 There will be three stands: in the Youth Area, in the Portico outside the entrance to the activities building, and upstairs in the hallway outside the Fellowship Hall. We will have: Coffee, Sodas, Lemonade & Water, Cookies, Muffins, Candy, Snacks, and more. Take a break from your shopping and join us for lunch! Homemade Pork Barbecue Plate $10 (includes pork barbecue, baked beans, coleslaw, potato chips, cookie, and a choice of drink. Drink choices are: water, Coke, Diet Coke and lemonade. Ticket sales start at 10:30 a.m. on the day of the Holiday Festival. Please join us from 7:30 a.m. to 10:00 a.m. to start off your Holiday Festival day with delicious pancakes and sausages. Participating in the breakfast affords the opportunity for people of all ages, even the youngest child, to contribute to the construction of a new home for a family. 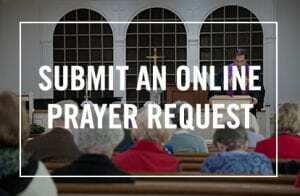 Join us for great food, fellowship, and funding for a dream. 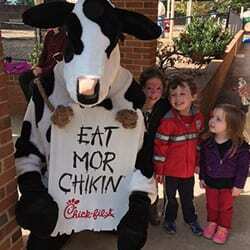 The cost is $6 per adult and $5 per child (ages 3-11) with a family maximum of $20 (immediate family). Need some time to shop the Holiday Festival on your own? Drop your children (ages 3-9*) off in the Kids’ Craft Corner where they will enjoy playing games and crafting. 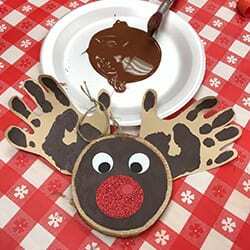 Each child will create one keepsake holiday item that you can cherish for years to come. Don’t miss out! If you are interested in helping with Kids Crafts or with signing up your child for the activity, please contact Beth Head: bethhead17@yahoo.com. *Children must be potty trained. Come hear the sounds of the season, as the various choirs of DUMC lift their voices in the familiar songs of Christmas. 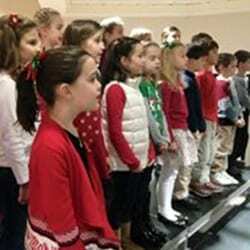 Featured groups include the children’s choirs, Women’s Choir, Musica Gloria, Chancel Choir, Youth Choir and Jubilate, as well as soloists such as Hugh Winn, Sidnei Alferes and Erin Jackson. Instrumentalists feature guest musicians “The Alison James Violin Studio”, along with Gerald Freeman on the piano and Kathryn Reid and her sister Martha who play piano duets. You can enjoy the music in the upstairs elevator lobby throughout the entire day of the Festival. 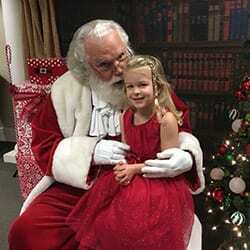 Santa will be visiting our Dunwoody UMC Holiday Festival from 10 a.m. until 3 p.m. Saturday, November 10. We invite all children to come get their pictures made with Santa. Appointments are encouraged and can be made by clicking here. You may sign up for appointments in 5-minute increments throughout the day. 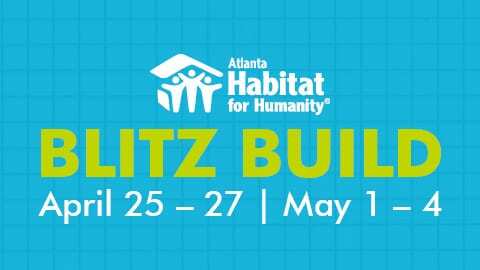 The sitting fee will be $30 and this fee will go directly to Atlanta Habitat for Humanity. If you have any questions please contact Emily Schroeder at Emily.Begnaud@gmail.com. Hope to see you there! The Dunwoody Community has come to know the DUMC Holiday Festival as one of the premier holiday events in the area. But do you know how it all began? The roots of the Holiday Festival stretch back to 1967, when DUMC held a “Country Bazaar” – back when Dunwoody was truly in “the country”. In 1990, under the leadership of Rev. 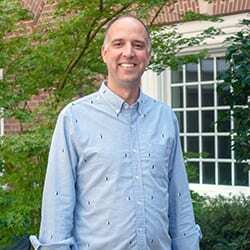 Dr. Wiley Stephens and co-chairs Molly Patrick and Sharon Edwards, the event grew and some of our favorite features of recent festivals came into being – Attic Treasures, children’s activities, concessions, Gourmet Shop, fantastic artisans and more. 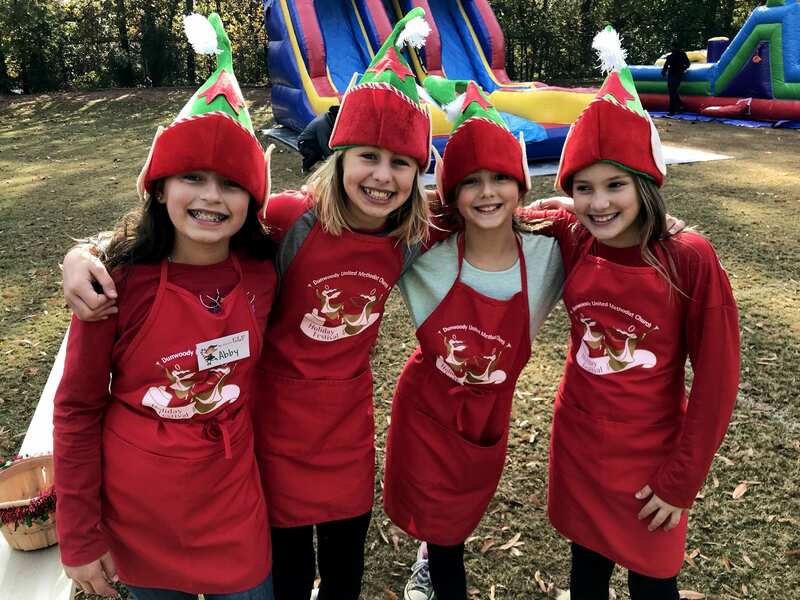 As we continue to grow and add more holiday magic to our festival throughout its 28 year span, we always look forward to the opportunity to serve our Dunwoody community through this celebrated tradition. Look for our bin (lower level) in September! We treasure antiques, home and holiday décor, housewares, etc. (clean and in working order, please). To schedule a furniture pick-up, contact Jeannie Culver on jeannieculver6@gmail.com or Janna Benston on jannabenston@hotmail.com. Collections will begin September 1 of books and audio-visuals, but please no puzzles, test books, games or out-of-date reference books. More details later, and a volunteer sign-up sheet will be located in the library in September. Get a head start on Holiday Festival Casseroles-to-Go and pick your first choice of a recipe to prepare for the Festival beginning September 2nd! This year’s slate of Holiday Festival Casseroles-to-Go choices include new, creative recipes with delicious ingredients. Recipes are very easy to follow, and results are outstanding. Plan to participate for the first time or for the tenth – we’re looking forward the sharing the new recipes with you between the Sunday morning services! Last year, the silent auction raised more than $40,000 for Habitat for Humanity. 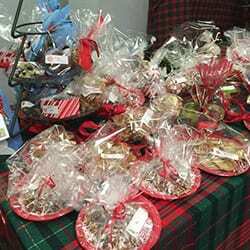 It is the best place to purchase gifts for friends and family such a gift baskets, event tickets and specialty trips. If you have an item to donate, please click HERE to help us reach our goal. 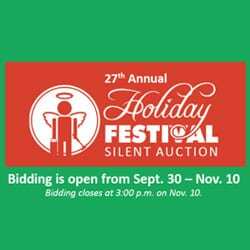 The Silent Auction is accepting donations of tickets and events that take place before the actual festival on November 10th. If you have tickets for an event in September or October, please consider donating them for our pre-auction. For more information or to make a donation, contact Dixie Wedding on dixie.wedding@yahoo.com. Calling all lovers of cakes, cookies, pies and the like! The Gourmet Shop would love to share your “family favorite” dessert with the world! 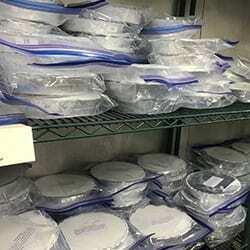 Just bake up some of those memories, and we will package them up for you! If you have questions about Holiday Festival or would like to know more about local mission opportunities, please contact me.